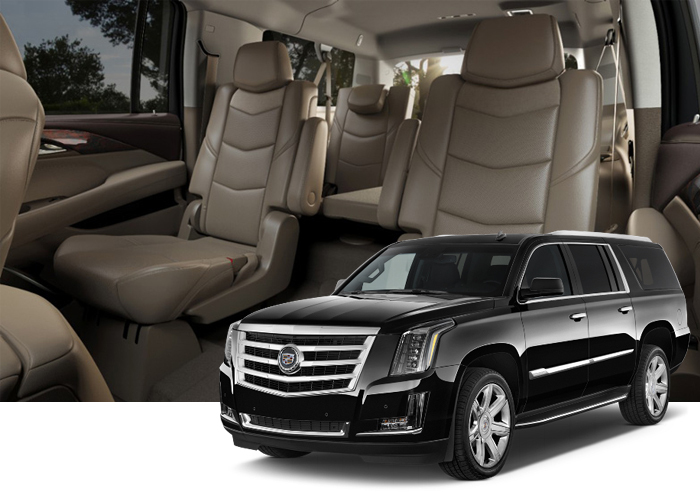 Seating Capacity: Comfortable:5 Passengers Maximum:6 passengers This 2018 model Cadillac Escalade ESV platinum luxury SUV is the ultimate in luxury and convenience. With seating for up to 7 passengers its perfect for Toronto corporate transfer, anniversary or an Toronto airport transfer with luggage. These luxury SUV’s comfortable seat about 5 passengers but it will fit 7 maximum. These elegant SUV are at your service for any occasion, from Toronto weddings to proms to Disney Resort transfers, to sporting events to nights out on the town, or simply for a more memorable ride to either of the Toronto Airports. Toronto Prom packages are based on garage to garage timing.